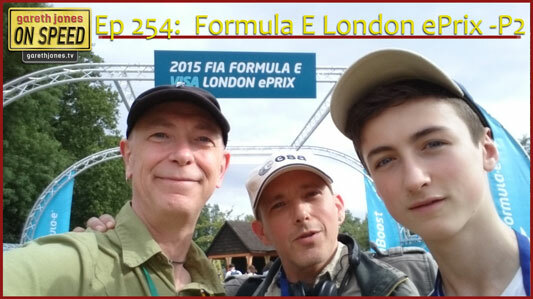 Presented by: Gareth Jones, & Zog with Tycho Jones, Alejandro Agag, Bruno Senna, Nicolas Prost and Nelson Piquet Jr.
#254 Formula E. Part 2 of our coverage of the first London ePrix. Gareth gridwalks with Alejandro Agag, Bruno Senna, Nicolas Prost and Nelson Piquet Jr. Plus in the grandstands with fans to witness the sounds and spectacle of Formula E at race pace. Coverage of the first ever London ePrix can also be heard in the previous episode of Gareth Jones On Speed.